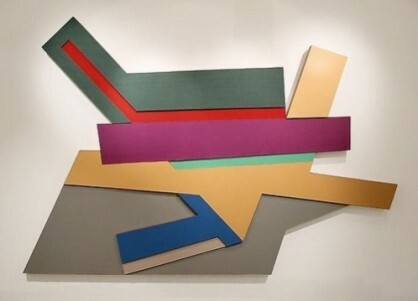 After presenting a big scale work from Frank Stella at Art Basel Unlimited, Sprüth Magers is currently displaying the first solo show of the American artist in the gallery’s Berlin location. The exhibition features the Polish Village and Bali series. The Polish Village series is inspired by the Wooden Synagogue Piechotkas’ book. In 1970, Stella began sketching, drawings, building maquettes and large works animated by the book. 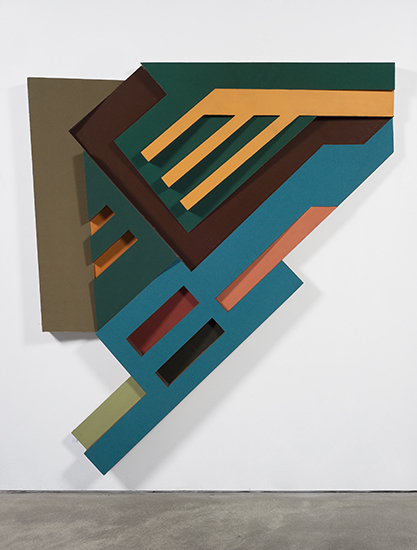 In his Polish Village works, Stella replaced flat collages with relief which signifies a turning point in his work from two-dimensional works to three-dimensional ones. All titles refer to Polish towns and villages such as Bogota, Lanckorona, Odelsk and Olkieniki. The creative and technical process leading to the creation of these pieces is the main focus of the exhibition at Sprüth Magers. Bali, the second series on view, was realized 30 years after the beginning the Polish Village series. Bali draws inspiration from the anthropological research of Margaret Mead and Gregory Bateson in Bali, Indonesia. They represent Stella’s approach towards illusionistic space and bridge the pictorial with the sculptural.